Tostada is the Spanish word for "toasted" and in Mexican cuisine, it commonly refers to a dish that is flat or bowl shaped and is made from a deep-fried corn tortilla. I like buying tostada shells because they have a long shelf life and they're so versatile: break them up as a crunchy topping, use them to dip in stews and dips, or make a quick meal or snack when you're in a pinch for time. 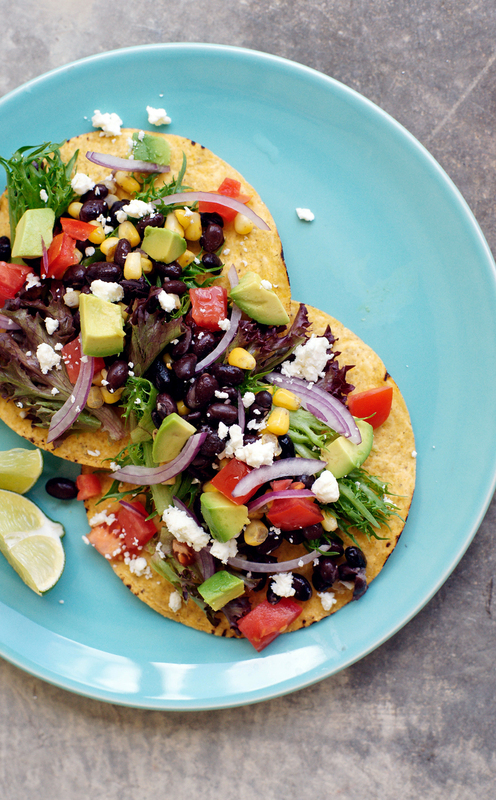 Since we've now mastered avocados, tomatoes, onion and cilantro these tostadas should be a breeze. These can be made without the use of a stovetop, require minimal cleanup and are satisfyingly healthy! Wash and prep ingredients. Place beans and frozen corn in a small, microwave-safe bowl with water, and microwave for 30-45 seconds. Drain and set aside. 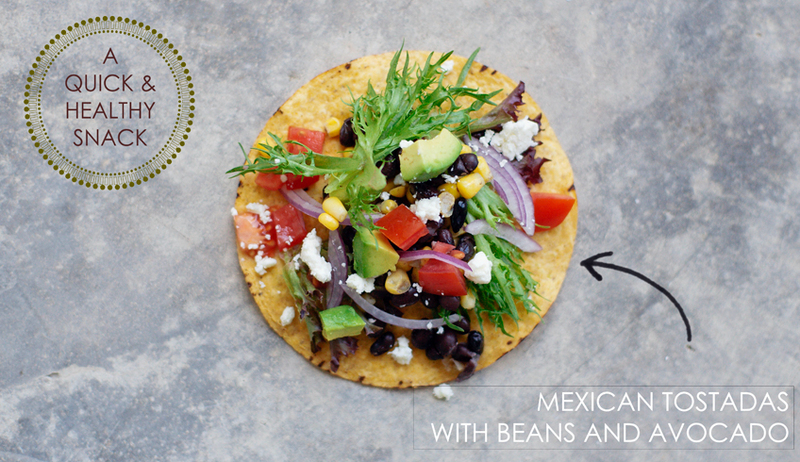 Place ingredients on top of tostadas as desired and serve immediately. Feel free to add a couple dashes of hot sauce or finish with a squeeze of fresh lime and a dollop of yogurt. And be sure to subscribe to our 1-2-Simple Cooking YouTube channel to stay up to date on our video recipes and tips!